Your home is one of the largest investments you’ll ever make. Of course, you’ll want to keep it looking its best – but you don’t want to damage it in the process. Many customers ask us if pressure washing is safe for their home’s surfaces. Today, Pressure Pros of the Carolinas wants to put your fears at rest. 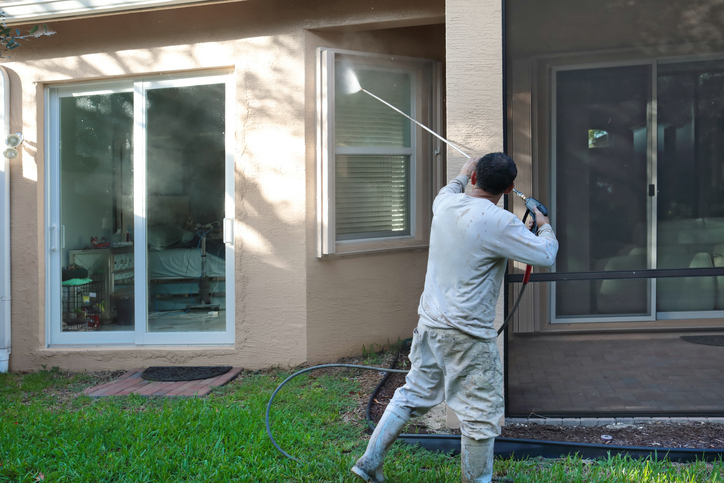 Here’s what you need to know about pressure washing and your home’s exterior. In most cases, your home will be completely fine if it’s pressure washed. Pressure washing can be ideal for homes with siding, stucco, brick, wood, vinyl, and aluminum exteriors. We use gentler house washing techniques for great results that are safe for your home. Will it hurt the surrounding environment? Our solutions are made from eco-friendly materials. These should not hurt your plants, pets, or wildlife. Feel free to call us with any specific questions you may have. What areas of my home should be pressure washed? Pressure washing is best used for siding, decks (either wooden or composite), concrete patios, roofs, driveways, porches, and gutters. Our crews will assess your property before starting any job. Need to give your home a thorough clean? Call Pressure Pros of the Carolinas today!